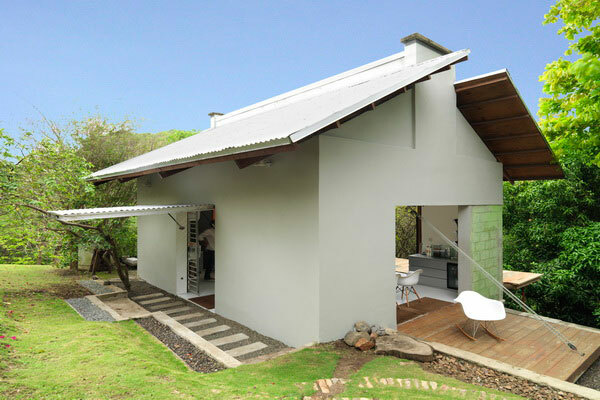 Perched on a hillside overlooking the suburbs of Castries is a studio occupied by a firm of architects, Melon Design. 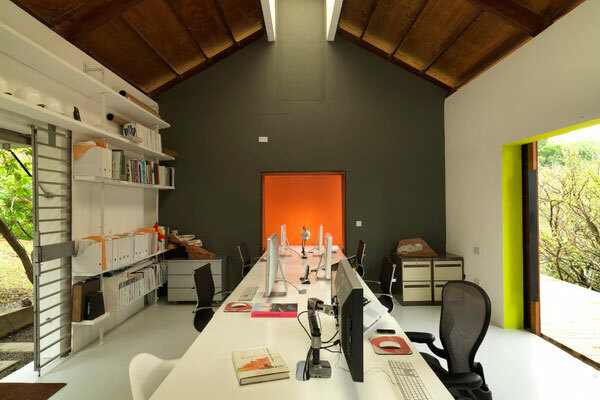 The studio is a single room with a long white central worktable along which no more than five or six people sit at their computers. Above the central table is a roof light. 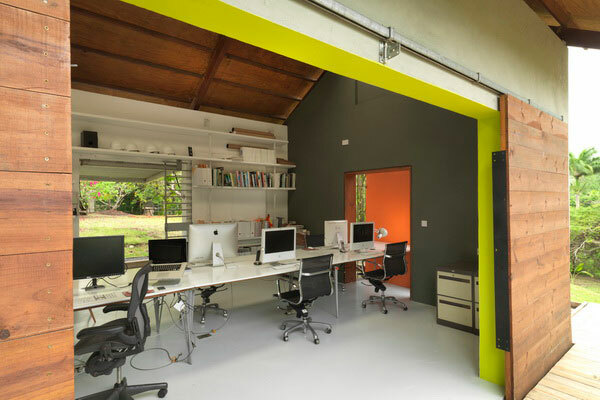 The studio is not air conditioned; instead it is cooled via three main "openings." 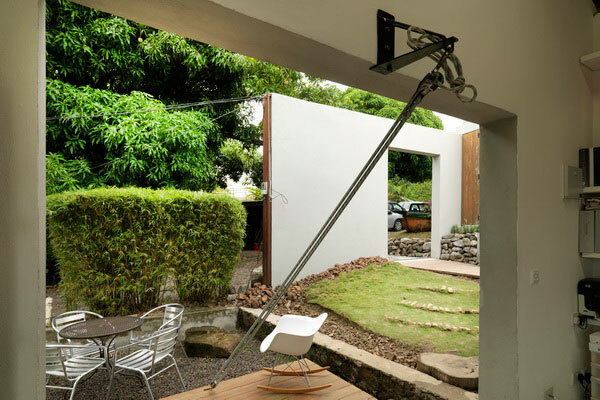 The first is a pair of wide timber sliding doors leading to a timber deck, the second is an entrance doorway made of galvanized metal with an awning, and the third is a drawbridge type of door constructed of timber that is lowered by a pulley system and functions as a deck when open. 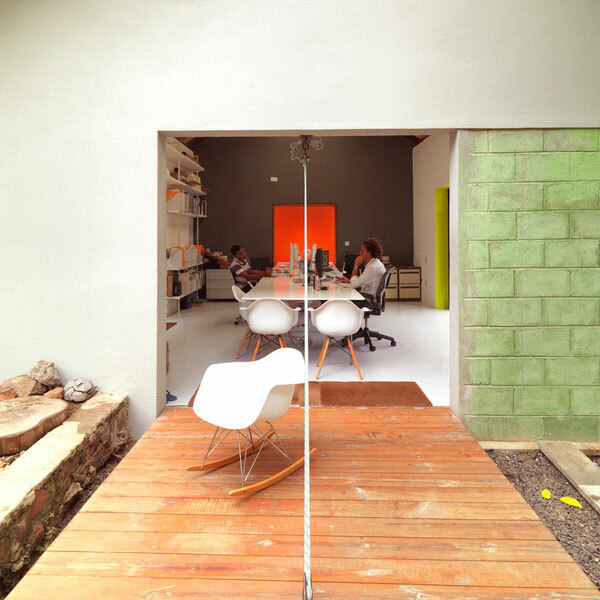 The entrance to the studio is a courtyard formed by a garden-type screen wall that is attached to a pre-existing stone windmill that now houses the washrooms. 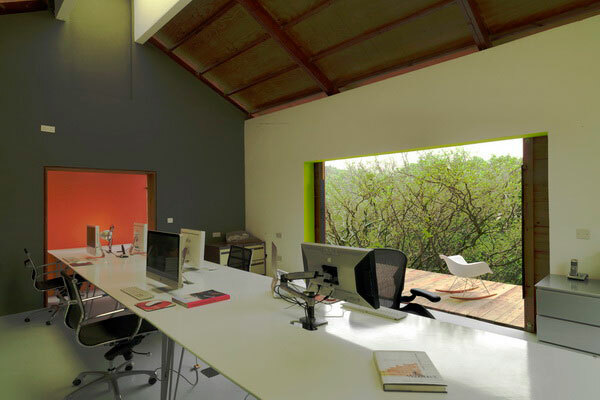 The interior floor and walls of the office are all painted white except for a red recessed feature inset wall that forms a visual stop for the central desk. The view over the deck is a curtain of iridescent green bramble-bush, while the other views are of the courtyard. 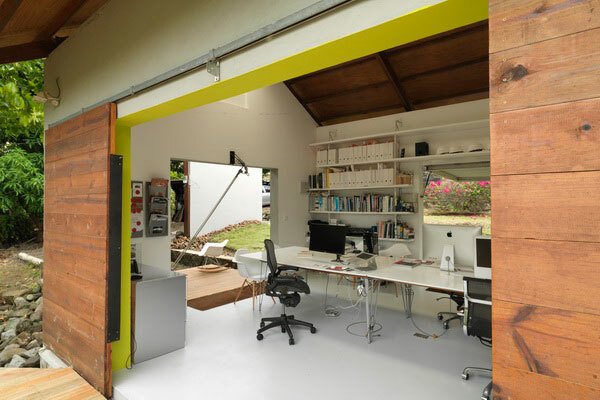 Although this is a tiny single room project, it is really a unique workplace and a rare example of a non-air-conditioned office in the Caribbean. For me the challenge of this photographic assignment was the weather – it was an overcast day and drizzled most of the time I was there. Unlike typical architectural photographic assignments, when a shoot can be rescheduled due to inclement weather, the Melon Design Studio shoot could not be postponed. 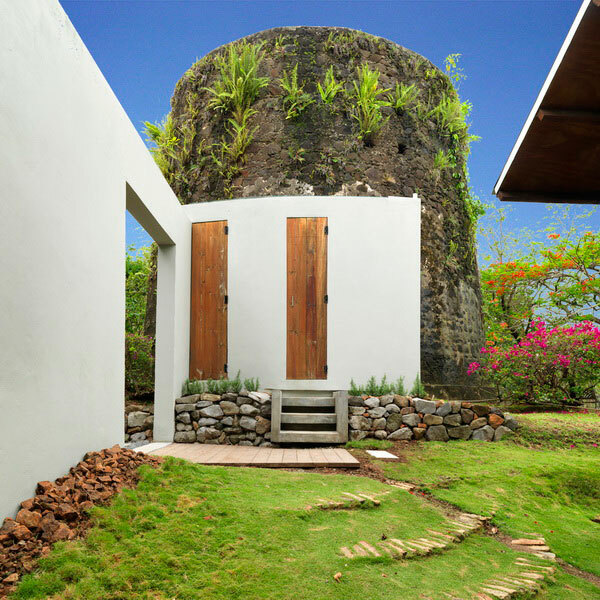 While scheduling shoots for the publication Contemporary Caribbean Architecture, we had only one day to photograph each project, because we were traveling by boat and needed to keep a series of appointments one day after the other in different locations. If the weather was bad, we could not return to shoot the project on a sunny day. This shoot marks one of my early uses of Adobe Photoshop – it’s amazing that we can change the weather with a few algorithms!